When I first seen the Virgin Games vampire advert on the TV, I wondered what the hell was going on. If you could fly, seduce woman and live forever. Would you really play casino and slots? Anyway, after looking at the website. Virgin Mobile Games is one of the coolest places online for entertainment and jackpots. Exclusive raining reels slot with up to 20x multipliers! 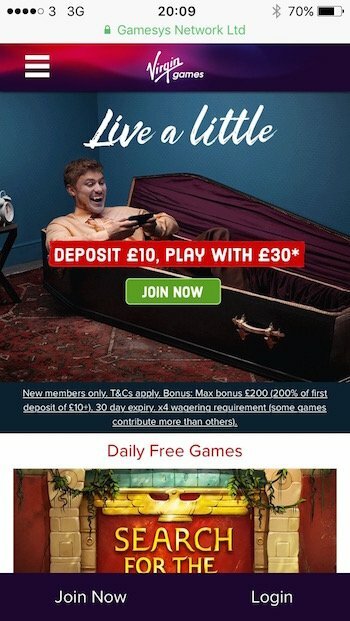 With the tag line “live a little’ and its Virgin vampire ambassador, Virgin Games for mobile offers top slots, daily free games, casino tables and bingo. The first thing is the name. Virgin is a trusted brand and allows Virgin Games to use it under license. That tells us that this particular website is well suited for UK players. And it is. Virgin mobile slots and games total more than 100 with most themes covered. There’s daily free games which is a nice touch and new slots are added regularly. The site itself is slick and well put together. There’s no question it’s Virgin, the striking red colour scheme and quality design is there for everyone to see. Controlling virgingames.com is effortless with good scroll and swipe action throughout. Onto the platform, there’s no download required with Virgin mobile games. The site uses the power of Gamesys software and it’s decent. As a world class operator, Gamesys develop exclusive content and interface their platform with some of the world’s best games. 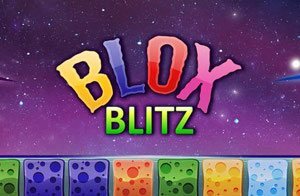 Some highlights include big winner details that scroll on the website, 24/7 live chat and new slots you won’t find anywhere else. Nozee Limited is the licensed operator of virgingames.com and is registered in Gibraltar. 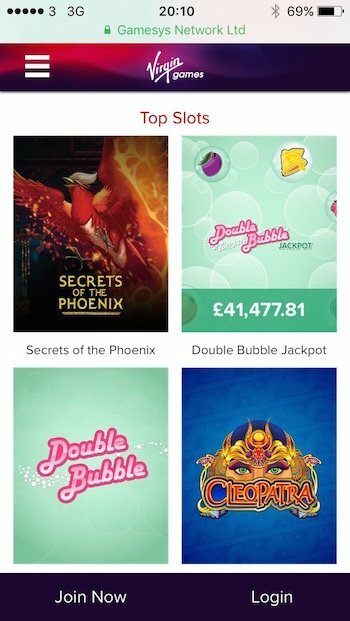 Virgin slots and games has entertained mobile players since 2013 and it holds a UK gambling license. I won’t lie, this is my favourite part. Using Virgin Games is incredibly simple. You can tell which mobile casinos scrimp on software in favour of big slot catalogues, Virgin doesn’t. This is one of the cleanest sites I’ve ever played. It’s not packed either, Virgin mobile games is quite the opposite. A small and classy gaming website. You can use the main menu to find promotions, help, FAQ and legal stuff. Or if you stay on the main page you’ll see how mobile slots at Virgin are easily organised. Casino games nicely arranged and top recommended titles all within one click of reaching. It’s all through the browser too, with no need to download anything. Virgin slots top 100 games with mobile casino, table, live play and instant win games also featured. It’s a good variety and there’s lots to choose depending on your mood. You can even play online bingo, another offering thanks to Gamesys working behind the scenes. Game providers include Gamesys (exclusive content), IGT, NetEnt, Hasbro, WMS and High5Games. It’s not the biggest list I’ve seen, but Virgin looks for quality over quantity. It’s also worth trying these out in the demo games. Deal or No Deal: What’s in your box? 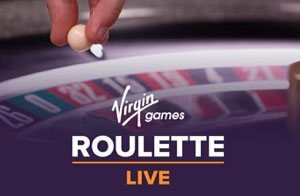 Virgin Games casino includes roulette and single deck blackjack. Higher or lower games, poker and keno. If it’s live play you’re looking for, there’s some good dealer tables hosted at the website. Deal or No Deal: What’s in your scratch card? The help section is pretty good here. There’s frequently asked questions that actually help and information is well organised. 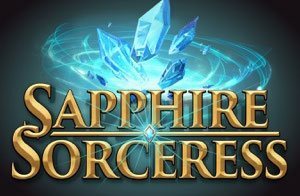 They explain bonuses and promotions, technical, banking and game details quite well and without the jargon. If you can’t find help here, Virgingames offers 24/7 live chat, email and a free phone support line. I was impressed by the support on offer at this UK mobile slots site. If you’re playing for real money, Virgin games is straight-forward with banking. There’s also two ways you can deposit, quick which is by your balance button or using the main menu. Deposit methods include Visa, MasterCard, Paysafecard, Neteller, Moneybookers and PayPal. The minimum deposit you can make at Virgin mobile games is £10. As for withdrawals, Virgin slots, casino and games is one of the fastest operators. Processing here can be as fast as 4 hours while on occasion it can take up to 24 hours to clear from their systems. Following that, If you’re playing with cards you’re looking at 3 days later to collect winnings. Just remember weekends don’t count. But the biggest plus point is that Neteller and PayPal clear into your account almost instantly. So it’s worth using e-wallets. The Virgin mobile games vampire might just have a point when he says ‘live a little’. As one of the coolest ways to play slots and casino on your smartphone, virgingames.com is both stylish and entertaining. Some of the highlights awaiting members include daily free games, new slots, awesome Virgin live casino and V points if you win! Most players will like it here. There’s quality you can feel, it’s well supported and the brand is trusted.